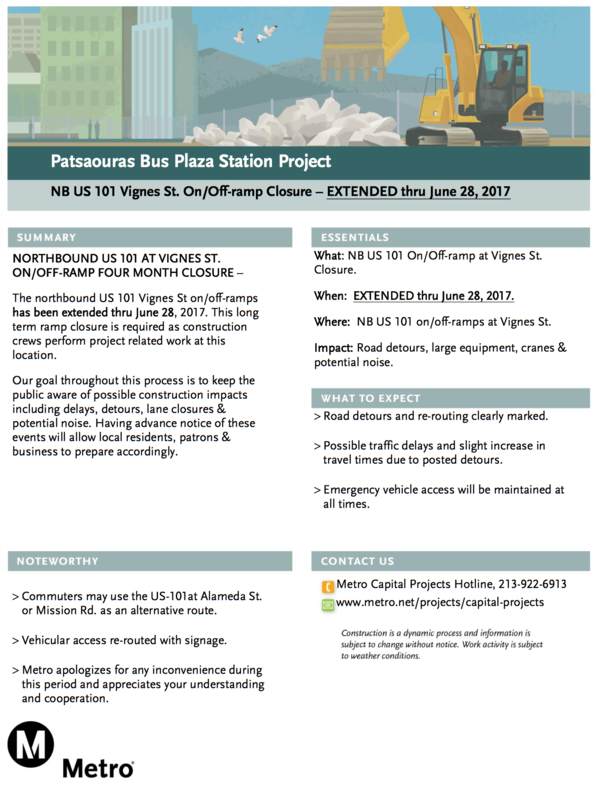 The northbound US-101 Vignes Street on/off-ramp closure has been extended through June 28. The long-term closure is required for contruction of the Patsaouras Bus Plaza Station. Motorists may use the US-101 at Alameda Street or Mission Road as an alternative route. It would have been helpful to know you were extending the closure by two months ahead of time. Very frustrating.